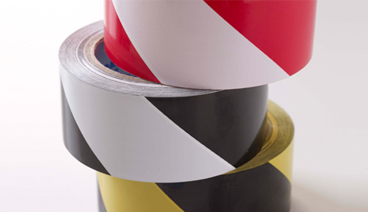 Our striped lane marking tape is made from PVC film and a rubber based adhesive. It resists acids, oils, and abrasion. The tape is ideal for hazard warning or lane marking. Adhesive Thickness : PVC film with solvent based natural rubber adhesive. Copyright © 2019,Tapemarket.com. All rights reserved.